I’ve spent my career studying and teaching what historians call modern history—that is, events and processes from the 16th century on and especially after the mid-eighteenth century when industrial change began to be felt. Yet, as I travel, I find myself more and more amazed and fascinated by the creations and constructions that were erected by humans thousands of years ago. Standing at Stonehenge earlier this summer, I was amazed at what people of that time could not only conceive of but build. The thought and care (not to mention muscle power) that went into the designs of these stone constructions boggles the mind—especially, as in the Stonehenge case that some of the stones were brought at great distance from quarries in what is now Wales. These stone monuments to human ingenuity and vision—like the menhirs in Brittany (France) or the native mounds in Ohio, not to mention the pyramids and Valley of the Kings and Queens in Egypt, Gobekli Tepe in Turkey, and any number of sites in China, India, and Central America—are a reminder that human history is so much longer than we usually care to remember; that our current industrial moment in the human story is just a tiny sliver in the larger run of homo sapiens sapiens on the planet. They are also a reminder of how humble we should be when we look back in time. Indeed, if learning about the past tells us nothing more—and it offers us much more—it should teach us humility and a realization that we today are not as special as we might like to believe. Of course, we may never know how humans in the past built these amazing structures, or perhaps more importantly, why. Why and for what purposes did they build such amazing creations (and did they expend so much of their energy doing so)? 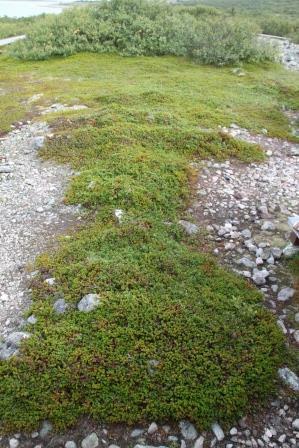 Solovki offers its own prehistoric stone structures. 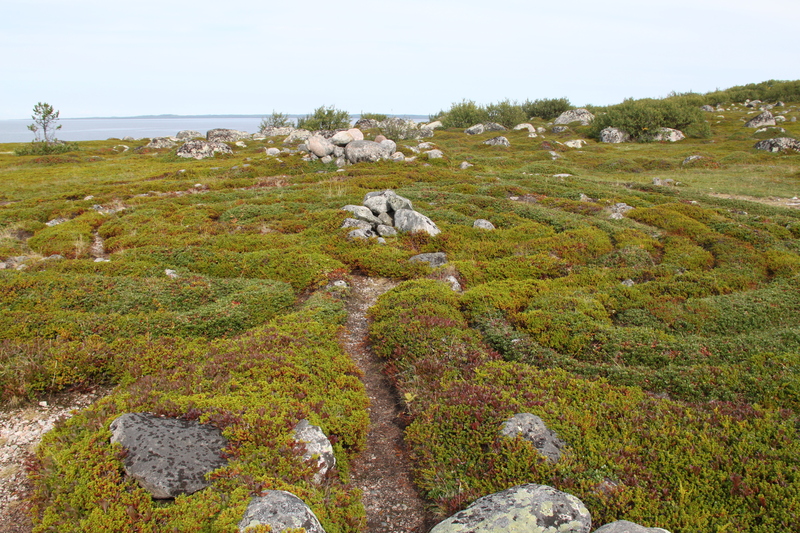 On the Zayatskie islands there are some 20 labyrinths and about 900 stone piles and funeral mounds. I found the labyrinths endlessly interesting. 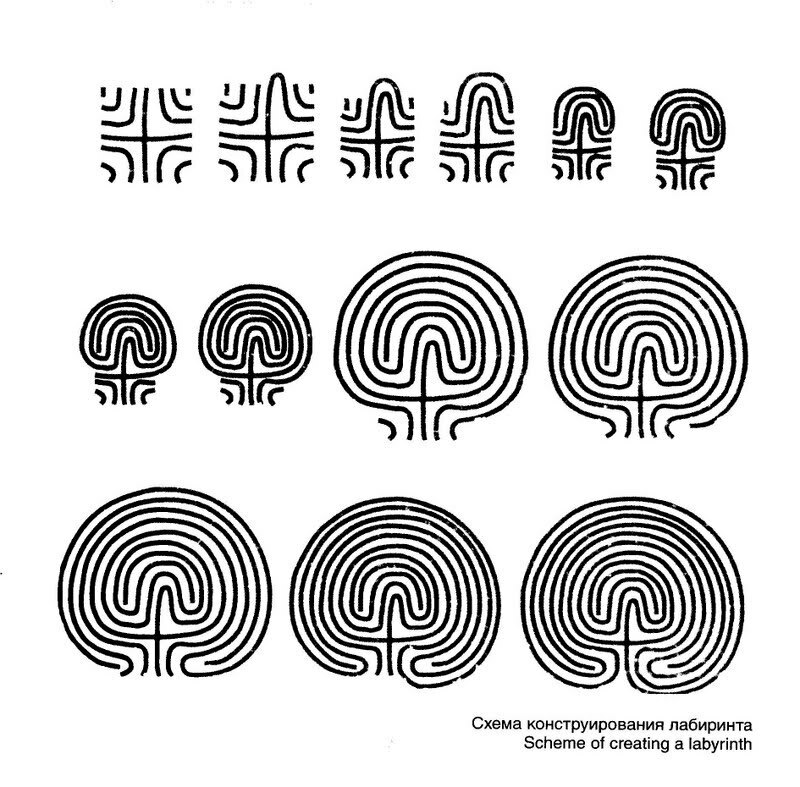 While no two were the same in design, they are spiral figures with a system of intricate paths lined with stones. They were made, it appears, by first tracing the patterns in the dirt and then placing the stones along the sketched patterns. The largest of the labyrinths has almost 5000 stones. The stones are now covered in plant growth that shows off the circular patterns. No one knows for sure what they were for or why they were built. But, there they are nonetheless, challenging us today to wrap our insufficient brains around what fishing communities in the first millennium before the Common Era might have been thinking as they took time out of their days to move these stones into concentric shapes? Some have argued that they were designed as part of the fishing experience. That fishers began the fishing season by walking through the labyrinth to the center. The hope was to help the fisher find his way to an abundant catch and then return from the sea safely. Whether we know why or not, I’m simply impressed that they did it all, and that they are still sitting there, much as they have always done. I feel certain that my day’s work today–and this blog post–won’t be around for future generations to ponder a few thousand years from now. Having stood by these monuments to human aspirations and ingenuity, I feel a connection across time and place to these other humans that doesn’t come as readily from reading about places in books or on the web. Not far from the Labyrinths are other rock piles and burial mounds, whose purpose seems much clearer. 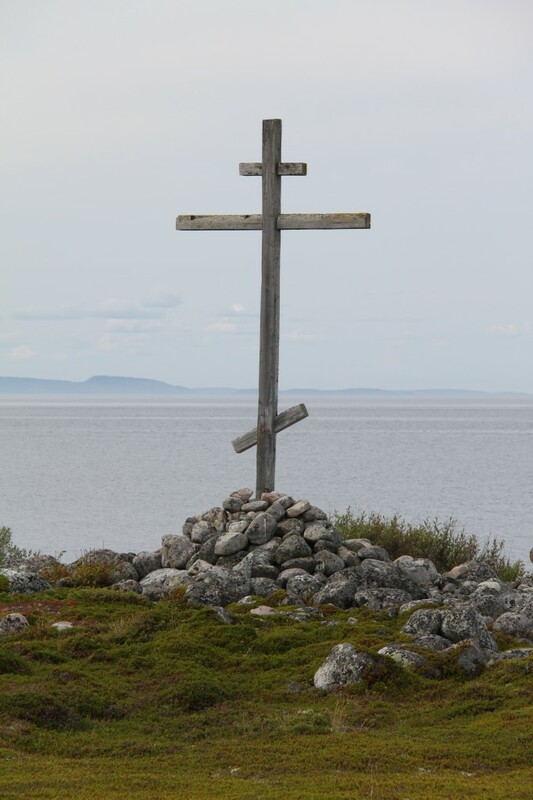 It is of course not unusual in Christian history for priests and others to erect crosses or paint/draw on crosses over prehistoric sites in an effort to consecrate them. The petroglyphs at Lake Baikal’s Sagan-Zaba, for example, had crosses carved across them by nineteenth century Orthodox priests. But, I was struck at Zayatskii Island how the priests had laid out stones to materially endow the place with specific meanings— just as the people before them. 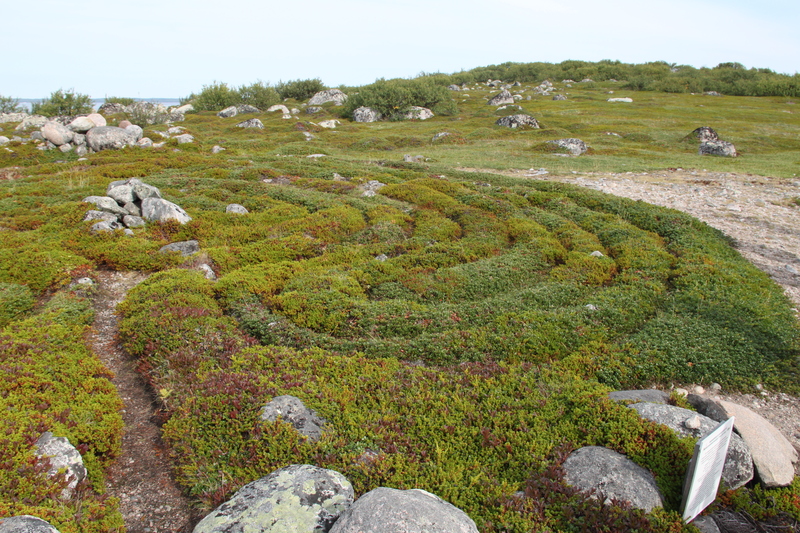 The shapes may have been different—crosses versus labyrinths—but the effort to use stones for cultural and religious purposes remained in many ways constant, reflecting the similar building materials these people—separated by so many centuries—found available for these purposes on the island. That both the cross and the labyrinths have both similarly been covered over in plant growth reflects— Ozymandias style—the way that the best laid plans and aspirations of humans disappear, collapse, or are engulfed over time. 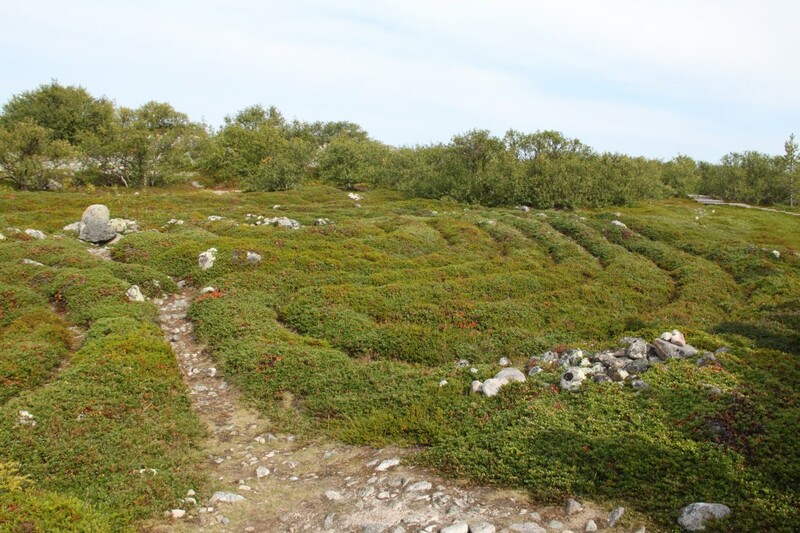 Posted in Eurasian Environment, Leverhulme Grant, Solovki 2013	Tagged fishing, Labyrinths, Solovki	Bookmark the permalink.